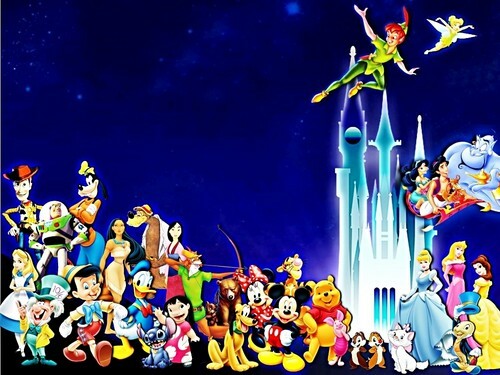 Walt disney fondo de pantalla - Walt disney Characters. Walt disney fondo de pantalla of alot of disney Characters.. HD Wallpaper and background images in the personajes de walt disney club tagged: walt disney characters walt disney wallpapers aladdin the little mermaid peter pan sleeping beauty genie princess ariel goofy stitch. This personajes de walt disney wallpaper might contain animado, cómic, manga, historieta, anime, and dibujos animados.